A world globe is a representation of the Earth. 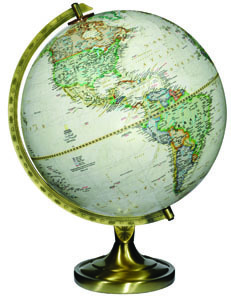 The map may be engraved, or printed directly onto the surface of the globe ball. printed on paper gores or segments. All flat maps distort either the shape or the area of the Earth's surface. 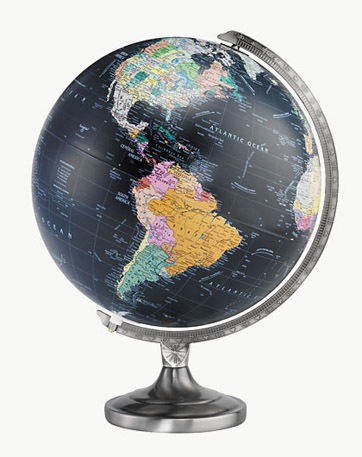 Globes are an accurate representation of the world that keep shape, area and distance in proportion.